There’s a smallholder in Australia with 100 Merino ewes and a few rams. Nui Milton is also a fabulous spinner. You can follow her on Facebook, look for Casalana Wool. 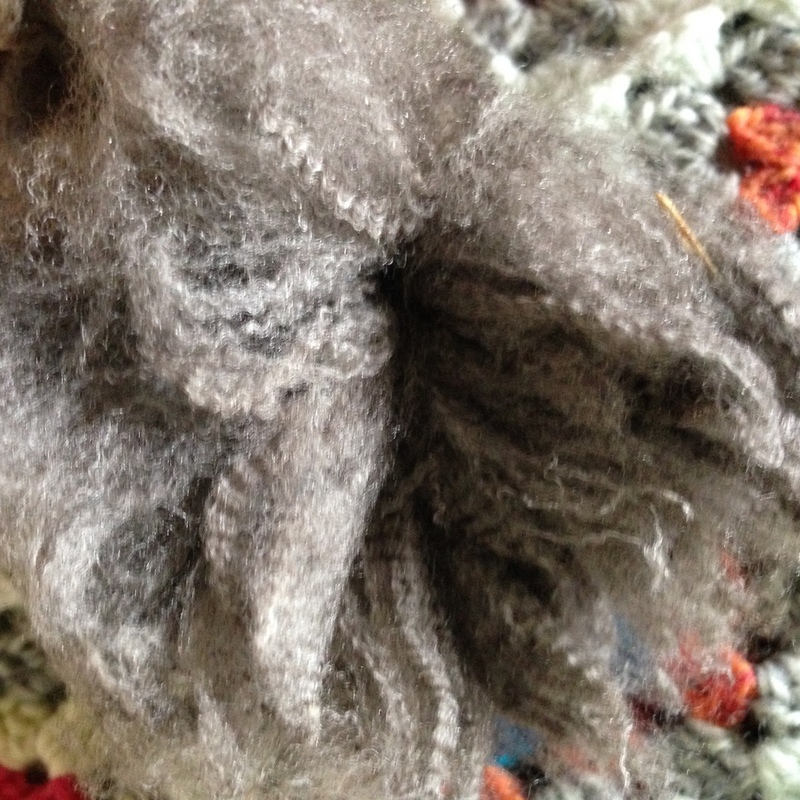 I bought 200 grams of grey locks from her, scoured a few staples at a time, flicked them open in both ends with a small dog brush, and spun from the cut end as fine as I had the nerve to. I wanted a shawl yarn that can take some blocking, so I didn’t spin as fine as I could’ve done. No, I’m not boasting! 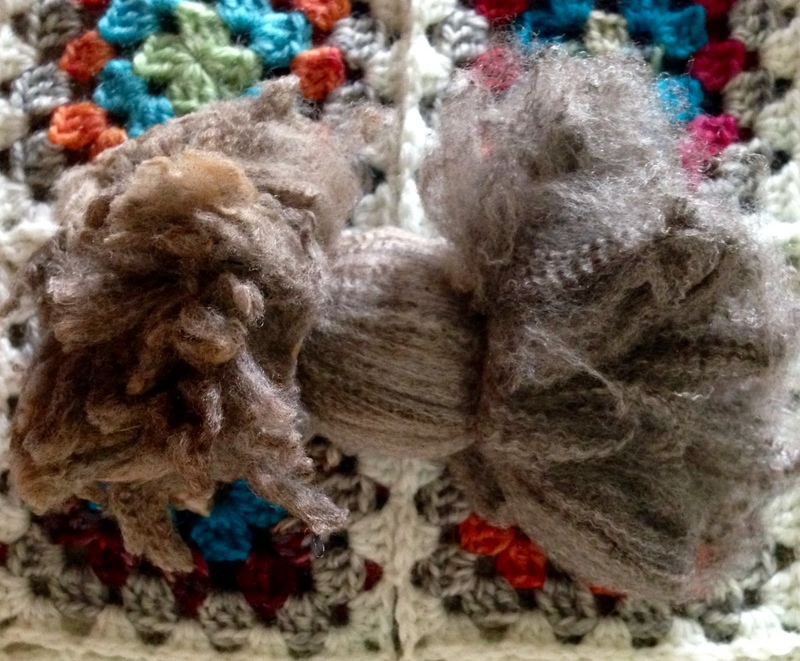 This wool can be spun so fine you can’t see it! You only have to be patient, take breaks, don’t spin when you’re tired. 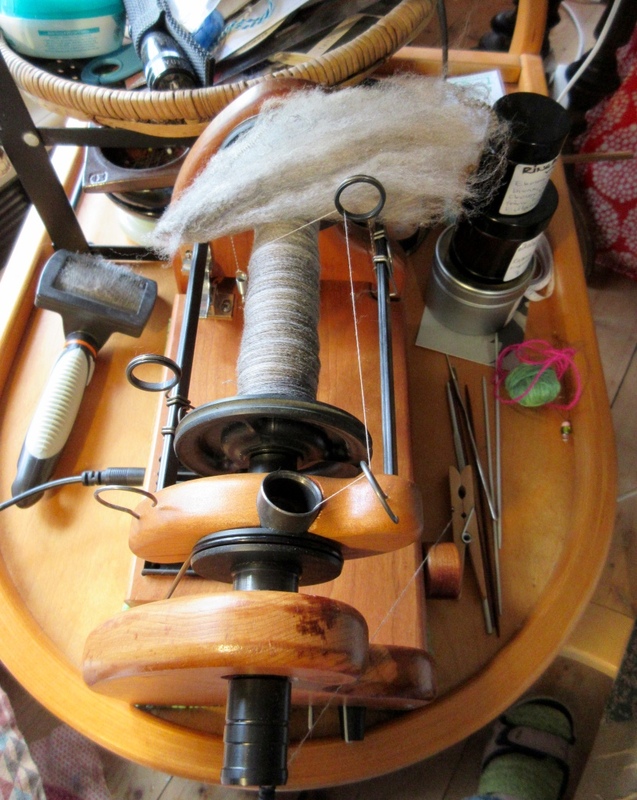 I know some of the participants in The Longest Thread competition in Bothwell use Nui’s wool. 70 grams, 1260 meters. Enough for a small shawl. Nui has found a way to keep the staples in order when stored. She simply uses rubber bands! They are easy to remove, and they don’t damage the delicate fibers if your careful. I’m sorry for the bad photo quality. I hope you can still see how lovely this Merino is. 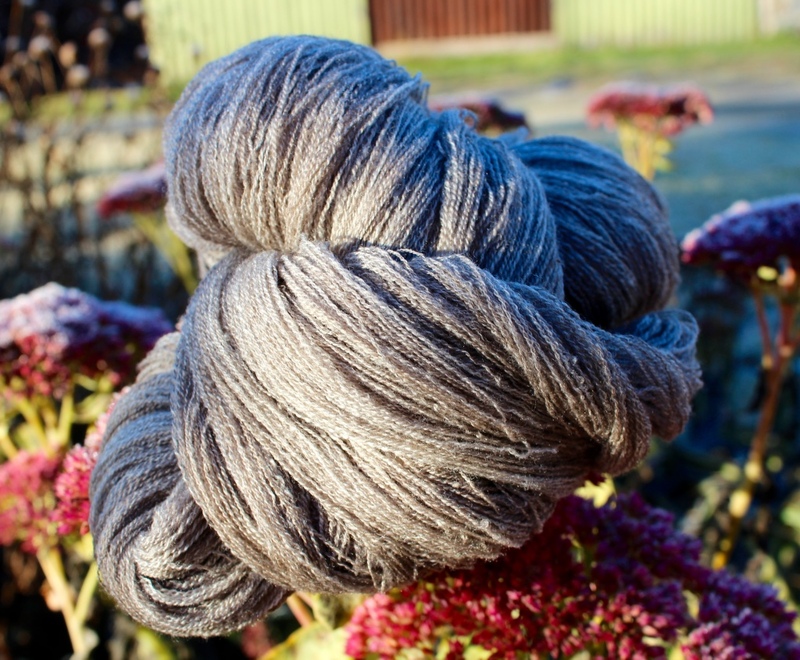 I like Merino, I like the way it feels, how it just lines up into fine, soft yarns. It’s not a fiber for beginners, but once you’ve learned the basics of spinning, and feel comfortable with you wheel or spindle and your drafting, you can spin it. I spun on the Hansen Minispinner (lace flyer), and plied with the WooLeeWinder. Next step: to knit a lace shawl! November 1, 2015 - 3:45 pm Marilyn F.
WOW. How absolutely cool. Beautiful spinning and nice photos. I too love Merino. 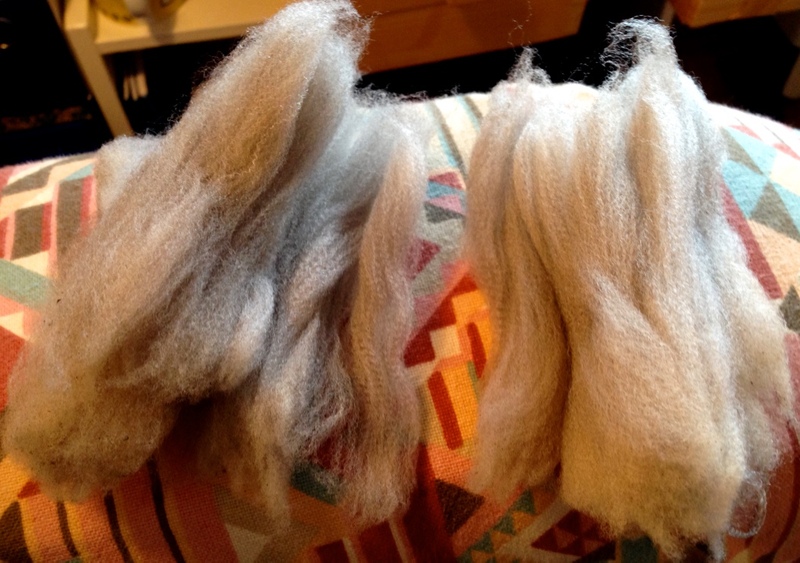 You’ve done a terrific job with your fiber preparation and spinning. Makes me want to dive into some of my own Merino fiber. Now, THAT is spinning 🙂 Marilyn was telling me about it and i am just getting to read your post. In fact I am going to send it on to a spinner I know in Melbourne. I will be interested to know if she is aware of Casalana Wool . thank you ! Dear Nui, you lovely person 🙂 Working with Merino from raw wool is so different from commercial tops! You really see and feel the fiber. Hugs to you and Ninja! I had not known of coloured ultra fine merino in Australia! It has taken your blog in Finland and Susan from Idaho, US to inform me. Oh, how I love the interwebs! Yes, isn’t it magical! I learned about that small Australian farm in a Swedish fb-group for spinners.